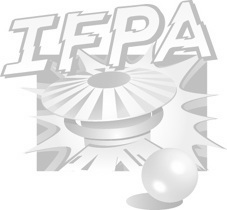 The IFPA US National Pinball Championship is an annual pinball competition organized by the IFPA. As part of the prize package for each IFPA State Pinball Championship, each IFPA State Pinball Champion will win free entry into the IFPA US National Pinball Championship. If the IFPA State Pinball Champion is unable to attend the IFPA US National Pinball Championship, the runner-up at the State Pinball Championship will be allowed to participate and serve as the representative of that state. The 2014-15 US National Pinball Championship will be held Thursday, March 26th, 2014 at the Pinball of Fame in Las Vegas, NV. The only way to qualify for the IFPA US National Pinball Championship is to win an IFPA State Pinball Championship. If the State Champion is unable to attend, the runner-up is the only eligible alternate. New for the 2014-15 season, IFPA Canada Provincial Pinball Champions are also eligible to compete. There is no entry fee into IFPA US National Pinball Championship. The first $100 raised at each IFPA State Pinball Championship will be put towards the prize package. Players are expected to pay for coin drop. The tournament features a guaranteed package of cash prizes. In the event of an overrun beyond expenses, tournament revenue will be retained to finance the next IFPA event. In the event IFPA discontinues its events or is disbanded, any such retained revenue will be donated to charity. 1st Place –> $1000 cash + Trophy + Title of "US National Pinball Champion"
Once all participants are finalized, the players will be seeded based on their WPPR rank at the end of the calendar year. Any game available for the IFPA Pin-Masters is eligible to be played, unless otherwise noted by the IFPA. Players will be placed in a single elimination bracket once the seedings have been completed. Depending on the number of players, there will be byes for the top seeded players through the first round. Two losers of Semifinal round in the Consolation Final for 3rd/4th place. The 3rd/4th place Consolation Final will be played as a best-of-three instead of a best-of-seven like all other rounds, using the same rules. First Place will also receive the title “US National Pinball Champion”. This title remains in effect until the next annual IFPA State Championship Series, or will expire after two years if the IFPA State Championship Series is discontinued. All rulings and malfunctions will be based on the rules for the IFPA World Pinball Championship. Those are available HERE, starting at Paragraph V. Please ignore any sections above this as that relates to the format of the World Championship.